I admit it. I love writing and answering discovery. Too often, I have seen boilerplate discovery asking for something that is not relevant. What a waste. Do not write discovery if you know nothing about the case. Blindly sending boilerplate discovery at best makes you look busy. At worst, it makes you look sloppy. Discovery rules change. Read and re-read the court rules, local court rules, and the applicable discovery code. At the outset of the case, send your client and the opposing party a litigation hold letter. It does not matter whether either is an individual or a big corporation. Everyone uses email and sends texts on their cell phones. Before you start writing discovery, you have to be familiar with the facts and law of your client’s case. If you aren’t, read the pleadings. 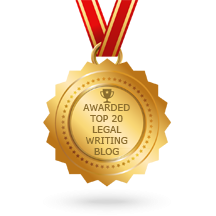 Understand why the plaintiff sued the defendant(s) and what answer the defendant gave to those allegations, including all affirmative defenses. If it helps, make a chart or an outline. There is a basic way to determine what discovery you should request. First, make a list of what you need to prove your case. We’ll call this List #1. Second, ask yourself whether you have everything needed to prove (or defend) everything on List #1? You won’t. So, third, make a list of what you need – List #2. Your client will provide some of the evidence you need, and you will use discovery to continue your search. Revise List #2 to identify what you need but do not have. With List #2 as your guide, use discovery to get whatever else you need to prove your case. Each type of discovery is unique. Play to their strengths, which is a post all by itself. Craft your discovery to snag that evidence and identify anyone who is a potential witness and/or document custodian. A quick word about Definitions and Instructions. Please do not regurgitate the discovery rules. I admit that I do not follow my own advice. I like to remind opposing counsel (and the opposing party) that there is a continuing obligation to supplement discovery. In the hopes that it will save time and aggravation, I also like to add the specific language from the discovery code about when you can object and why. Define only what is necessary. If there is room for confusion, clarify what is what and who is whom. If the case revolves around specific documents, such as a contract or an event, define it with a simple designation. Your goal is instant recognition of whatever it is. If there are more than one contract or event, make your definitions basic and easy to recognize. As soon as you receive the responses to your discovery, mark every incomplete answer or objection. Ask for supplementation where needed, and follow up. If an objection is ridiculous or simply obstructive, challenge it while at the same time building exhibits to support a motion to compel (read the rules!). Do not wait until the discovery deadline is looming to stay on top of this. This one should be a no-brainer, but I still see it every so often. A party objects to the most basic discovery question and refuses to answer. The other side asks a standard, basic interrogatory, and you object. Really? You cannot enforce it. You know it; I know it; and the other side knows it. What’s the Top Complaint Against Lawyers? 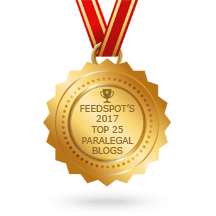 ≈ Comments Off on What’s the Top Complaint Against Lawyers? ≈ Comments Off on We Should Know Better. I hope that everyone learned in paralegal or law school that you don’t talk in elevators, restaurants, and any other public place about clients and other embarrassing facts you may pick up along the way. I once worked in a building with a popular restaurant on the top floor. We were close enough to the courthouse that lawyers often went there for lunch. It was amazing how many settlement discussions I heard in the elevator. It wasn’t hard to guess which case it was either.